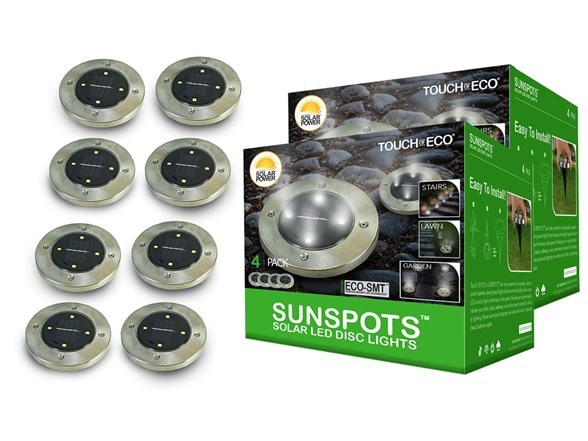 SUNSPOTS are super bright stainless steel solar powered disk lights, built to withstand any weather or outdoor condition. 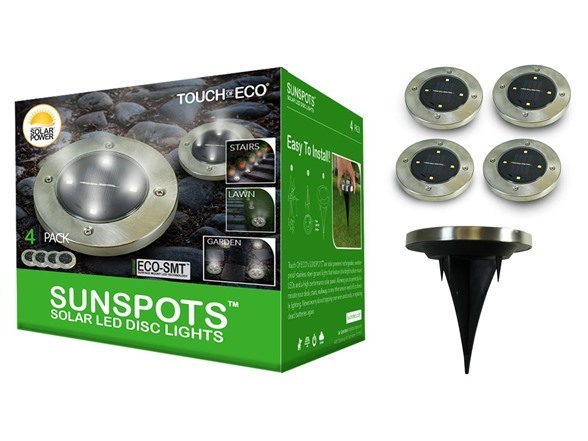 Perfect for your garden, walkway, stairs, railings or outdoor living area. 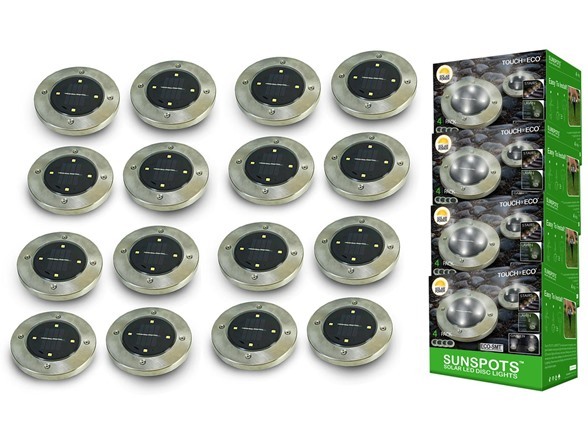 No wires, batteries or timers needed. 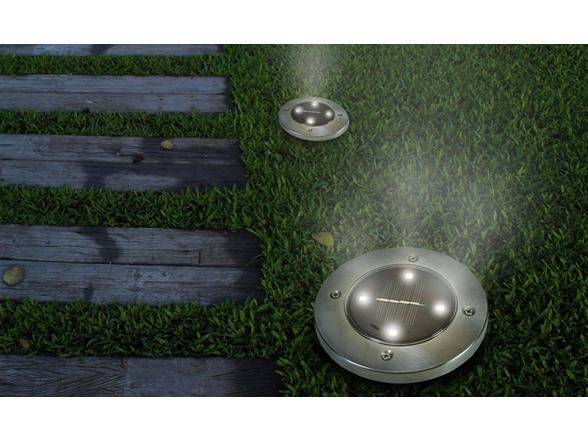 They are powered by direct sunlight and turn on automatically at night (and off during the day to charge). 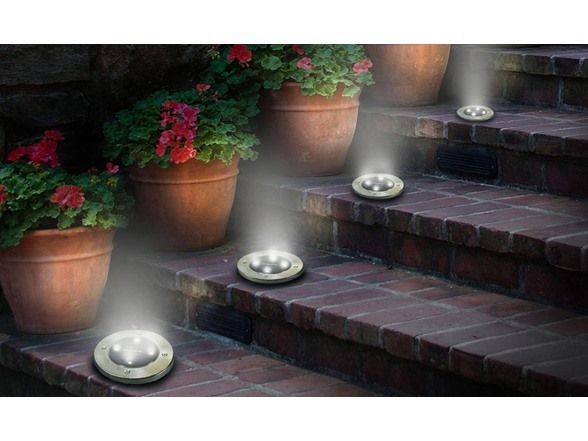 Allowing you to illuminate almost any area without tripping or extension cords. 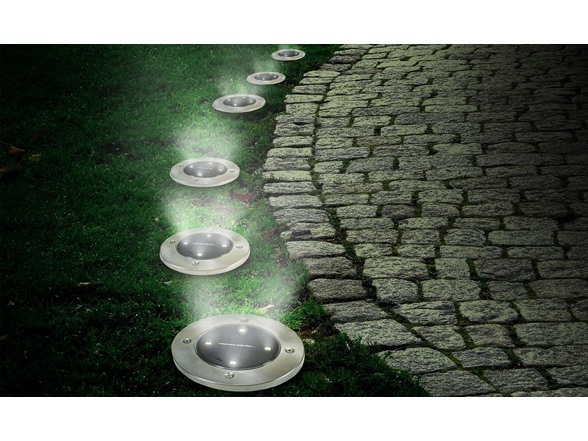 Best part is you can instal them in seconds and each light produces up to 8-10 hours of light a night. 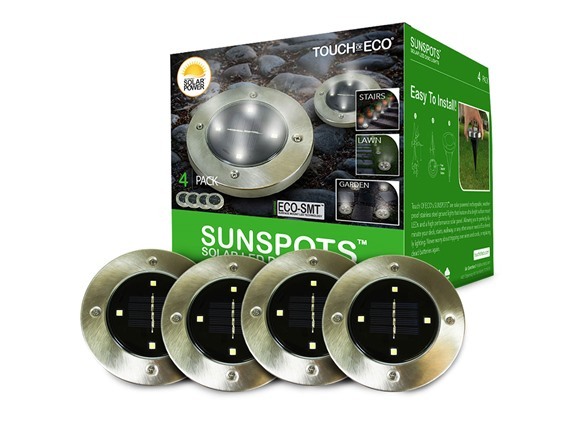 WARNING: This product can expose you to chemicals including Cadmium, Lead and Lead Compounds, which are known to the State of California to cause cancer. For more information go to www.P65Warnings.ca.gov.